Do you find yourself reading blogs, Instagram feeds, Facebook posts, or even chatting with fellow homeschooling parents only to feel defeated and wondering if you should be doing more? Do you feel overwhelmed thinking about how your child should have every opportunity to excel, have the best homeschool curriculum, and become an outstanding citizen that contributes back to society? So do all parents. 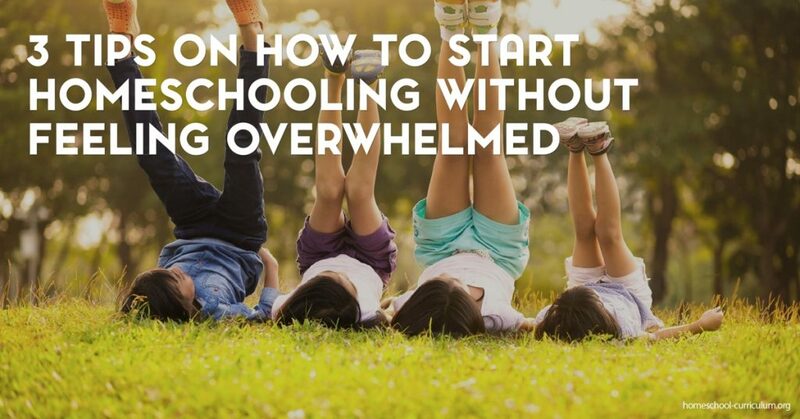 But I have three tips on how you can reduce the unnecessary anxiety of “doing enough” in homeschooling. Take a deep breath and remind yourself to stay present and stay in the moment as you learn how to start homeschooling. Give yourself an opportunity to refocus and gain a new perspective on things. Think of a museum curator. This is the person who decides what to display in the museum and how to display it. A curator also knows their audience, works with the space they’re given by making additions where needed and cutting out things that they don’t have space for), and helps inspire. Be the curator of your best homeschool curriculum and cut out what you don’t have space for. Design your curriculum in a way that will facilitate learning and inspire your children. Remember to pat yourself on the back when your children are having a good time, are connecting with their work, and you’ve put in a complete day. Do not beat yourself up with the should’ve, could’ve, would’ve. Give yourself a break and don’t let things get too complex leaving you feeling overwhelmed. For more information on how to start homeschooling and designing the best homeschool curriculum, subscribe to our website. Are My Homeschool Resources Filling My Kids’ Educational Needs?